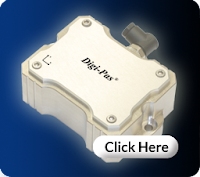 Digi-Pas® DWL-5000XY is a 2-Axis Precision Inclination Sensor Module of accuracy (0.01° or 180µm/M or 36 arcsec) that specifically designed to be integrated into a machine/equipment/structure for real-time simultaneous display and manipulation of 2D levelling status, angular readings & vibration measurement. Ter than conventionally known as two independent single-axis. Digi-Pas® 2-axis intelligent inclination modules having high precision and wide measurement range are capable of providing real-time levelling, angular & vibration readings that empower application engineers to continuously measure and monitor machine/equipment/structure angular positional status precisely and speedily. These small footprint, 2-axis and high shock resistant MEMS driven inclination sensor modules effectively eliminate limitations associated with using multiple single-axis sensors or bulky pendulum/servo-based sensors to achieve precise 2D levelling and planar angular measurements. Digi-Pas® 2-axis inclination sensor module system (Sensor Module + Control Box) is designed to be integrated into precision machine/equipment/structure enabling application engineers to instantly access angular positional readings (+ an optional PC Sync Pro Software to extract and store data in Excel format) without the need for tedious and time-consuming programming. The angular measurement system enables user-defined settings to activate/control any external connected peripheral devices at ease (see below suggested diagram). Alternatively, experienced engineers/experts may choose to download Digi-Pas Dynamic-Link Library to link with your own coding to directly extract measurement readings from sensor modules (without Control Box & PC Sync Software). Jual Alat Survey,Gps Geodetik,Motor Sirine,Anemometer Wireless,Hammer Test,Profometer Locator,Pundid Dll.